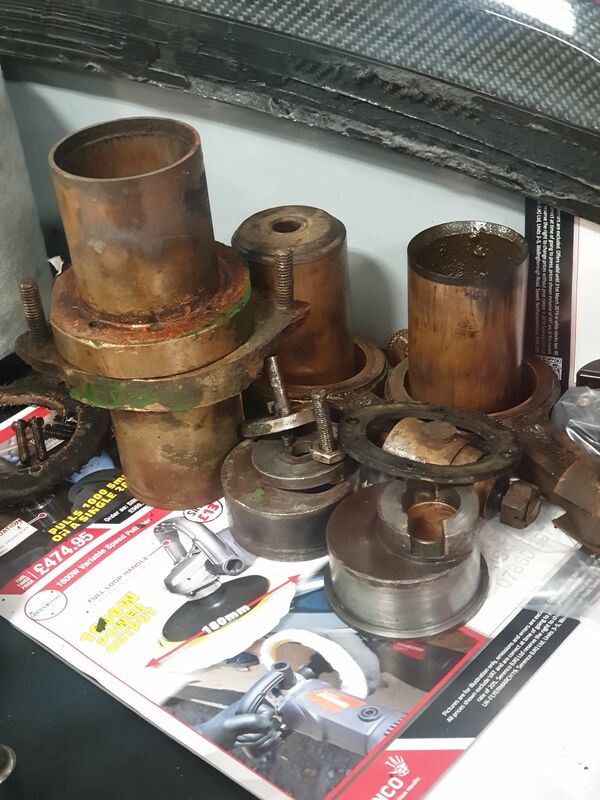 just wondered if any one has a national water pump in bits and if so if they have any pics of the piston and conrod apart and are able to measure the top inner that goes over the eccentric. I'm looking at making a new shaft 2 removable eccentrics and 2 new conrod and 2 new pistons but I need the eccentric outside diameter or the conrod inside, and how it joins the piston. I should be able at somepoint to remove my bulge pump side but at the mo I cant remove. well the water pump is in bits now! !